Summer season has arrived, if we think about summer days then scorching sunlight, hot air, sweating, mosquitoes, thirst and ways how to keep ourselves cool comes in mind. But do you know all these things bring’s diseases along with them in summer and if are not alert and prepared before hand, in that situation he have to face lots of problems in summer. In summer season we are very alert to protect our skin and face and take total protection for face so that face should not turn black in harsh chill sunlight or from sunburns, but always ignore our eyes. Although air-conditioner and coolers protects us from sunlight and heat keeping the rooms cool in summer but can’t helpful in protecting from the dryness around the eyes. The hot air blowing in summer season causes harm to our eyes. Specialists considers that its become very necessary to take care of our eyes in summer season. 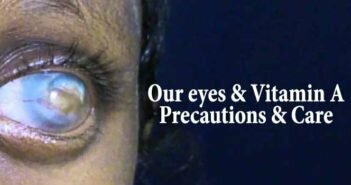 Scorching sunlight, dust and dirty particles along with dust affects our eyes a lot and in lack of proper care it harms our eyes and possibility of viral infection increases more in summer season. Mostly in lack of special care and attention of child’s cleanliness, child faces allergy problems in eyes. In summer season, many diseases like flue, swelling and redness in eyes, dry eyes, computer vision syndrome occurs due to insects and micro-organisms. Nowadays our living standard and routine life also invites such diseases. 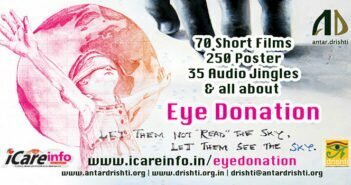 Our eyes becomes dry due to pollution and keep on working on computer for long period and give rise to many problems like burning, irritations and flowing of thick fluid in eyes. It is mostly seen viral infections is common in the eyes of the people living in slum polluted areas. Elements spreading pollution in atmosphere like Nitric oxide, Nitrogen-dioxide and Sulphur-dioxide increases eye problems. Tears made of water fatty oil, protein, electrolyte and elements helpful in fighting against bacteria and work is to keep our eyes watery is also harmed by pollution. Due to pollution, tears dry up and give rise to bacterial infection, so it is very necessary to take additional precautions for our eyes in summer.